There are a few things I have noticed writing the documentation of my 3D model in RDF, that I had not realised before starting thinking about it. When I started my research on the ontology, I assumed that assigning one source to each element of the 3D model would have been more than enough to document sufficiently a 3D visualisation of cultural heritage. wall visible between the arches of the east one. For example, let’s look at the hypothetical restoration of the Iseum pre catastrophe. If we take the north wall of the ekklesiasterion, we can say that the width of the wall has actually been measured. So, the source for that specific information is the measurement taken on site and recorded by the researcher (in this case me) and available online at a certain url. The depth of the wall, however, cannot really be measured, definitely not with the equipment I had with me. So, the value I have assigned to the depth of the north wall of the ekklesiasterion in my model is simply based on the depth of the east wall of the same room, that can be measured because it has arches in it. 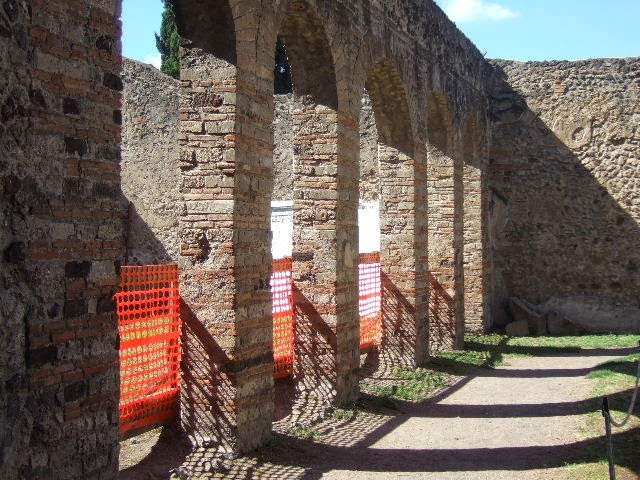 The guess is supported by the fact that the depth of the walls appears to be quite consistent across the entire architectonic complex. So, the source for this other bit of information, is another element (the east wall) that has actually been measured. Last, it is not possible to know how tall the wall was before the eruptions. For the more hypothetical elements, I have relied on Piranesi’s drawings as they have proven to be a thorough and, all in all, acceptably reliable visualisation. Thus, the height of the north wall has yet another source. As you can see, the problem here is that not just each element, but even each dimension of the element can have a different source (it’s not always the case, but it has happened). For this reason, I have decided to enter, for each feature, transition or constrain, the attributes hasHight, hasWidth, hasDepth, and use them not only to express the numeric value, but also (or mainly) to connect them to the related source. To achieve a higher consistency, I could have tried to derive all information from the richest source, which is probably Piranesi. This would have been a perfectly acceptable choice, and the outcome would have been “an hypothetical restoration of the Iseum in Pompeii according to Francesco Piranesi”. Nonetheless, I followed a different approach. Although I don’t want to state any degree of preferability among the different sources, I have chosen to use hard measurements each time they were available. Also, information derived geometrically from the actual remains has been considered preferable to the one derived from drawings or other secondary sources. Piranesi’s data, in the end, have been mostly used for the things that cannot be measured, that I didn’t measured (for various reasons) and that do not exist anymore. I know that this choice makes my model a little frankenstein of information, but, in the first place, even the most detailed elevation or cross section cannot show all the information needed to produce a 3D model that is actually visible 360° in space. Second, my aim is not to produce a new groundbreaking hypothesis on the restoration of the Iseum but to provide a way to connect the 3D model to its sources. From this perspective, it is actually interesting to me to see how much I can stretch the potentiality of my system, and to give an idea of the richness and diversity of data virtual archaeologists deal with. 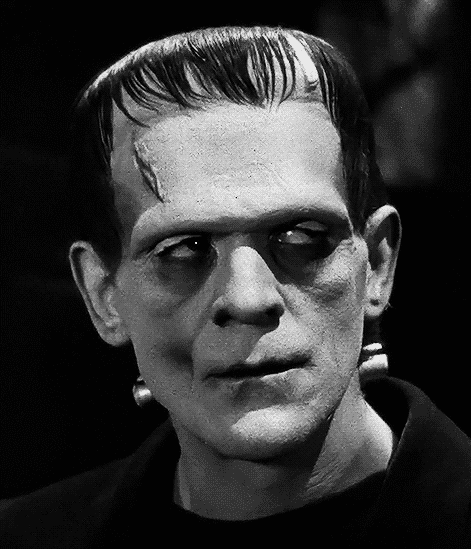 (*) trivia: glorious actor Boris Karloff is one of the King's College London illustrious alumni.